So I have set myself a side project, against my own advice, as the Knight is proving tricky. 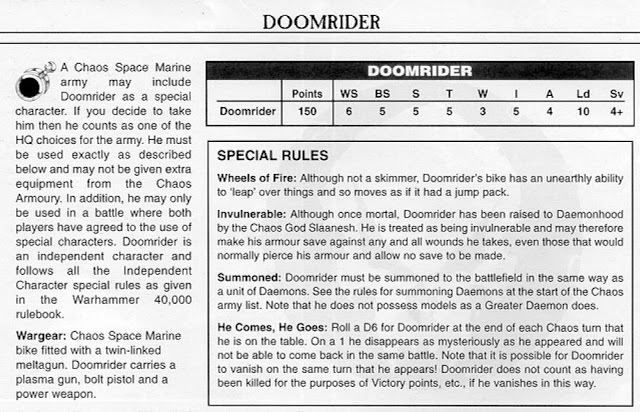 I am going to resurrect the old favourite Doomrider missing for many codices but not forgotten. Lets jump into my take on it. Base miniature is from… ok honestly I can’t remember but I am guessing Puppet Labs? 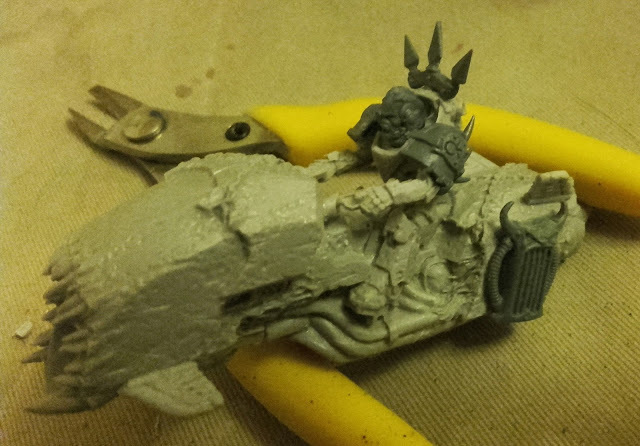 At first I hand planned to replace the full torso with a regular Chaos Space Marine complete with a power pack. But the more I played with the parts the less I liked it. The original rider, to me anyway, works. 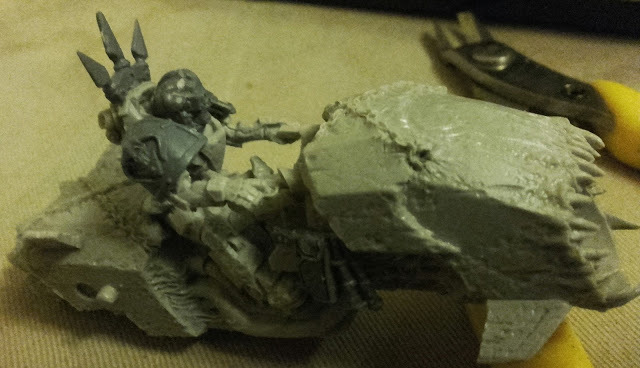 As you can see I’ve started to bring the bike more in line with 40K and his old rules (see below). The dirge caster seemed like an obvious choice and a good counter balance to the plasma gun he used to pack. Just below you can see my two options, one is very old school. I plan to have it hanging from the right aide of the rear of the bike. If anyone has some thoughts or a good power sword suitable Doomie here let me know.